The International Cricket Council (ICC) on Wednesday constituted a three-member conflict resolution committee after the Pakistan Cricket Board (PCB) initiated a dispute resolution process against the Board of Control for Cricket in India (BCCI). The panel — comprising Michael Beloff, Jan Paulsson and Annabelle Bennett — will conduct a three-day hearing in Dubai to arbitrate in the legal dispute between the two cricketing nations. The dates for the hearing will be communicated to all parties in due course and the decision of the dispute panel and the reasons therefore will be made public. 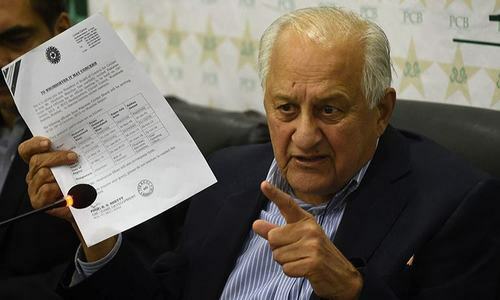 In a notice sent to the world cricketing body in November 2017, the PCB had asked the ICC to set up a Dispute Resolution Committee to adjudicate the matter. The notice was sent after PCB sent a $70 million 'Notice of Dispute' to BCCI for breaching the 2014 Memorandum of Understanding (MoU) between the two cricketing bodies, in which six bilateral series were scheduled to take place between 2015 and 2022. Since BCCI did not respond to the notice, PCB took the next step under ICC rules to request an arbitration panel. Of the six bilateral series initially agreed upon in the MoU signed in 2014, revenue from four series was supposed to go to Pakistan and two series were meant to generate money for India. With Pakistan-India ties consistently at a low, it is unlikely that the arch-rivals will be playing a series against each other in the near future. The Notice of Dispute was the latest in a series of events that characterise the PCB-BCCI tussle. 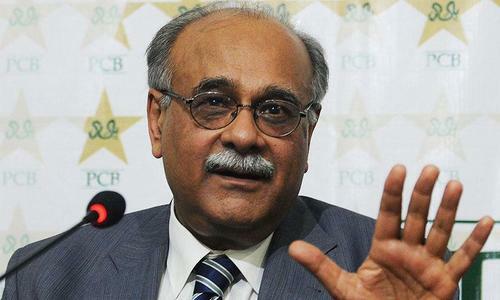 When India first refused to participate in a cricket series with Pakistan, PCB's top executives, including Sethi and Shaharyar Khan, paid a visit to Mumbai in October, 2015 on invitation of then BCCI president Shashank Manohar and secretary Anurag Thakur. The meeting got cancelled as Shiv Sena 'hooligans' stormed the BCCI headquarters, disrupting any chances of the two boards meeting to discuss the possibility of reviving bilateral series, which at that point had been at a halt for eight years. The PCB, after repeated failed efforts to revive cricketing ties with India decided to take legal action, and filed its notice to the BCCI. Good move by PCB. Let’s see what neutral panel decide on this ongoing saga between two cricket boards. Another humiliation is on its way. Hang on and hold tight! Nothing good can come from ICC (Indian Cricket Council). No harm trying. Good luck. MoUs are only understandings and are not legal contracts. Cricket is the second most watched sports in the world after football. Pakistan India World Cup 2011 match is recorded as the highest viewership around the world for a sporting event ever. Icc should have the same power as fifa and suspend any federation if they there us suspected government interference. PCB won't get a "penny" from BCCI. Period!! Actually BCCI also wants matches against pakistan but they can't go against government, specially after Lodha committee clipped their wings. Even ICC cannot force indian govt. to play matches. If at all pakistan wins the battle they will be compensated with money and money is just peanuts to BCCI. @Umair Really? Did you ever hear FIFA talking about English or Spanish or German football? NOOO. Because those are major football hubs and FIFA gets most money from there. Same is true in case of ICC. You cannot kill your source of income.